Next week our editorial team will be taking a small break for one week, starting on Monday the 10th of April. We will be joining our families and loved ones in celebration of the Easter holidays. 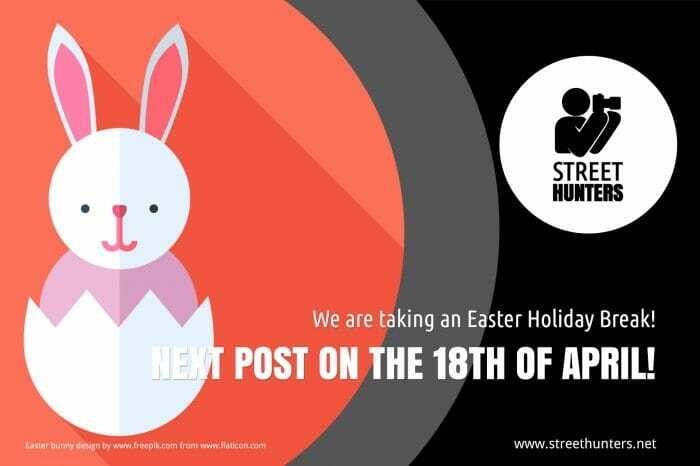 We will be back with more street photography news, posts and videos on the 18th of April 2017. During the time we will be on a break, we will not be posting anything on our blog, or our Social Media channels. However if you want to get in touch with us, you can do so using Facebook messenger or our email. We will have irregular access to our means of communication we will get back to you. Now that we will not be filling your timeline with posts for a week, we invite you to take this opportunity and go outside and shoot more! Just grab your cameras, go outside and lose yourselves in street photography! Press Release: MOPP'S "The Wall"
Hey, enjoy this break and Stay Sharp & Keep Shooting 2!